Here we are, another year has passed and whilst Christmas in Australia offers sun, seafood, BBQs, bubbles and beer, the holiday in our specialist destinations offers something quite different. We share with you what the festive season is like in Africa, India, South America, Croatia and Antarctica. Read on and discover what you can expect from the season in our specialist destinations and discover a great “To Do” list for this time of year. 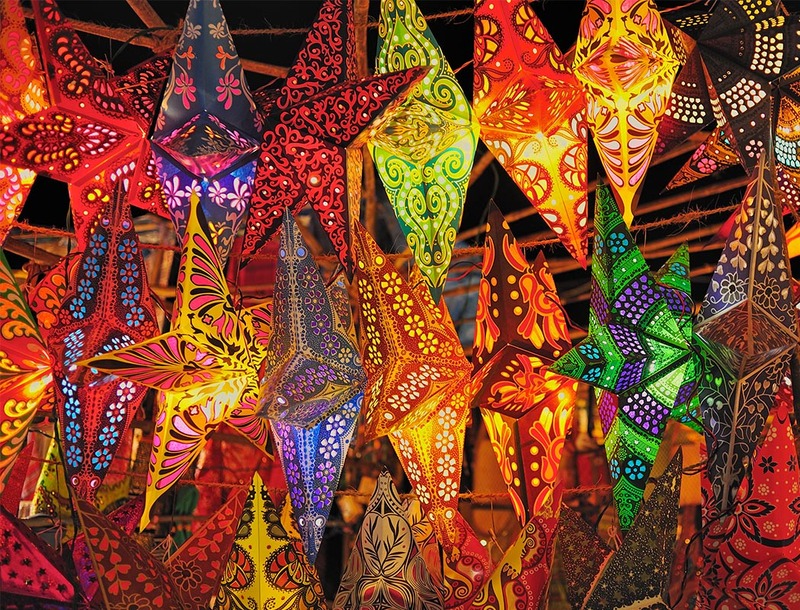 Christmas isn’t that big in Northern India, but in the South it’s widely celebrated. Goa and Kerala are probably the best places to spend Christmas if you’re in India during the festive season. Unsurprising that the two Indian states with the highest Christian populations exhibit the biggest and most exciting celebrations. Goa with its Portuguese heritage is one of the best places to be during the festive season. This lively beach state comes alive with Christmas spirit; houses are adorned with lights and decorations lighting up the streets with colour and festive cheer. The festivities begin at the start of December but the main celebrations commence on Christmas Eve. If you want to go to Midnight Mass, you’ve got to get in early; even with almost 400 churches, each and every one is full. Christmas is a family affair with everyone coming together for a big feast on Christmas day. Hotels in Goa and Kerala bring the family atmosphere with a huge banquet dinner. Depending on where you’re staying, some hotels even host large parties. One of the biggest highlights of Christmas in India is the food. Christmas cakes, and traditional foods are made and exchanged. South Indian, particularly Goan Christmas sweets are a favourite amongst locals and tourists. Along with Islam, Christianity is one of the most predominant religions in Africa. While you won’t get a white Christmas unless you’re up on a mountain somewhere, it’s still incredibly festive across the continent. Christmas in Africa varies across the continent. In South Africa, celebrations are very similar to Europe, with a classic family lunch on Christmas day; food is a massive part of Christmas in South Africa and dishes served on the day include just about everything from turkey, duck, ham and roast beef to seafood and delicious deserts like Christmas pudding and mince pies. Coptic Christians in Ethiopia and Egypt follow the Julian calendar, so where we follow the Gregorian calendar and celebrate Christmas on the 25th, Christmas in the Julian calendar is on the 7th of January. Celebrations in both countries are roughly the same, with a Christmas Eve mass and a large feast on Christmas day. Christmas across the rest of Africa features a range of different traditions, but the theme of family and friends coming together to celebrate remains the same throughout. Christmas across the South American continent is a fairly religious affair and in smaller towns it’s hard to feel part of the festivities when you’re a traveller. The best cities to spend your Christmas are definitely, Rio de Janeiro, Lima, and Buenos Aires. Rio is where you’ll find the gigantic 70m tall (2018) floating Christmas tree on the Rio Lagoon; a spectacular sight to see, the tree floats along the lagoon during December and comes down on the 6th of January. The entire city is adorned with colourful decorations and lights and there are massive celebrations on Christmas Eve. While Christmas Day is usually the big day for celebrations, in South America, you’ll find that Christmas Eve is when the festivities are at their peak. Buenos Aires and Lima are equally as festive with both cities holding massive fireworks displays on the night. After Christmas Eve dinners, you’ll find people heading out to bars and clubs that usually open at midnight. Particularly in Buenos Aires, the parties last well into the early hours of the morning and Christmas Day is somewhat a day of recovery for those that went out the night before. If you feel like something more relaxed, head to Cusco and check out the Christmas market in the Plaza de Armas; here local artisans sell a range of holiday trinkets and art. A fairly large contrast to our other specialist destinations, Croatia is where you’ll finally get a “white Christmas”. Festivities are in full swing from the beginning of December, even late November. A highlight in Croatia is the Christmas Market in Zagreb. Known as “Advent in Zagreb”, this market is in its third consecutive year of being voted the best in Europe. The market spreads across the entire city, with various events at each major space in the city. If its music you’re after, Ban Jelačić Square is a must; with free shows featuring everything from amateur choirs to some of the country’s biggest artists. Holiday festivities occur all around Croatia, with something special in every city; coastal Zadar also has its Christmas markets with some of the best food you’ll find in Croatia; Dubrovnik with its Winter festival featuring sumptuous food, beautiful music, and gorgeous stalls selling unique festive trinkets lining the streets of Dubrovnik. There’s so much to see and do at Christmastime in Croatia and wherever you are, you’ll definitely feel the Christmas spirit. Now Antarctica is where you’ll really be treated to a “White Christmas.” Quite literally snow and ice everywhere. December is the perfect time to visit Antarctica because it’s summer; obviously it’s freezing but the sun’s out for an average of 18-20 hours each day so you have an insane amount of time for zodiac excursions, hikes, sea kayaking, and of course witnessing all the incredible wildlife of the Antarctic. Cruise operators have special Christmas cruises that run over the December period. And what better time to visit this continent; not only because of the exceptional weather but also because the summer school holidays are during Christmas; making an Antarctic cruise perfect for families during the summer holidays.